A freight broker is responsible for matching shippers with truck drivers to transport their freight. A large amount of truck transport in the United States is handled through freight brokers. They are essentially the middle man between shippers and truck drivers. While some shippers will sign contracts with trucking companies, others will use a freight broker to find truck drivers to transport their goods. Here is how to choose the right freight broker. The first thing you want to do in your search for a freight broker is ensure that they are licensed. Federal law requires that these people have a federal property broker license. Without it, they are essentially doing their job illegally. You want to look into how potential freight brokers picks out the carriers to transport freight. You don’t want to invest in a freight broker that seems to choose the first truck driver available. Not every carrier can be trusted to transport your freight, so you want to make sure your freight broker is checking for operator authority, safety ratings, and insurance coverage when looking for a carrier for your shipment. You also want to make sure you are looking at how the freight broker communicates with their carriers and with you as well. You want to look for freight brokers that get documentation in writing when they are communicating with carriers. 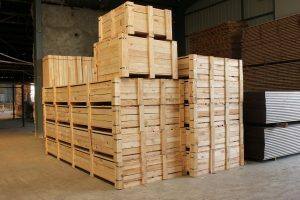 You want to ask the freight broker how they confirm that shipments have been picked up and delivered as well as how they match carriers to different loads. Along with ensuring that a freight broker has the proper license, you also want to make sure they have cargo insurance as well. This protects you in case your freight somehow gets lost or damaged while in transport. Liability insurance is also good for a freight broker to have in case something goes wrong. This entry was posted on Friday, July 20th, 2018	at 7:15 pm	and is filed under Trucking Lifestyle	. You can follow any responses to this entry through the RSS 2.0	feed. Both comments and pings are currently closed.